Tony is in his fourteenth year coaching; his twelfth year with Mason. He played football for John Carroll University (graduated 1998) and earned a Masters degree from Xavier University. He is currently a guidance counselor at Mason High School. 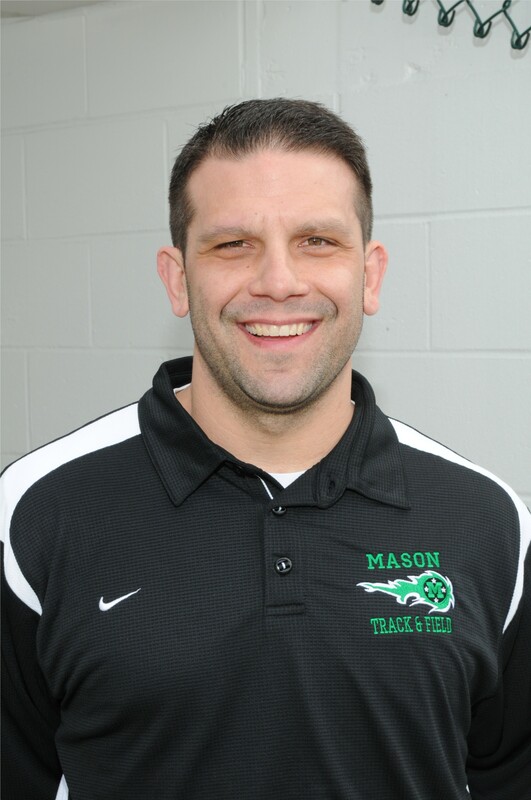 As Head Coach, Tony has lead the Girls Track & Field Team to numerous championships including FAVC, GMC, District, Regional, and State titles. He lives in Mason with his wife Kelly and their daughter Gabby. In his seventh year as head coach, Chip has a solid history including 2 State Titles (2002 & 2004), 1 State Runner-up title (2003), and 2 state titles in cross country. Chip is a graduate of the University of Cincinnati, where he received both his undergraduate and Graduate degrees. He coached 10 years at Taylor High School and most recently at Turpin High School. Chip resides in Maderia with his wife Kathy and 3 boys, Chet, Luke, and Jake. He also enjoys bike racing and politics. Originally from Trotwood Ohio, Tom was a State Champion in cross country and in the one mile run. He attended Penn State University where he attained All-American honors and captained the team. He worked for Athletes in Action for 23 years, serving in various capacities including development of their track and field department. 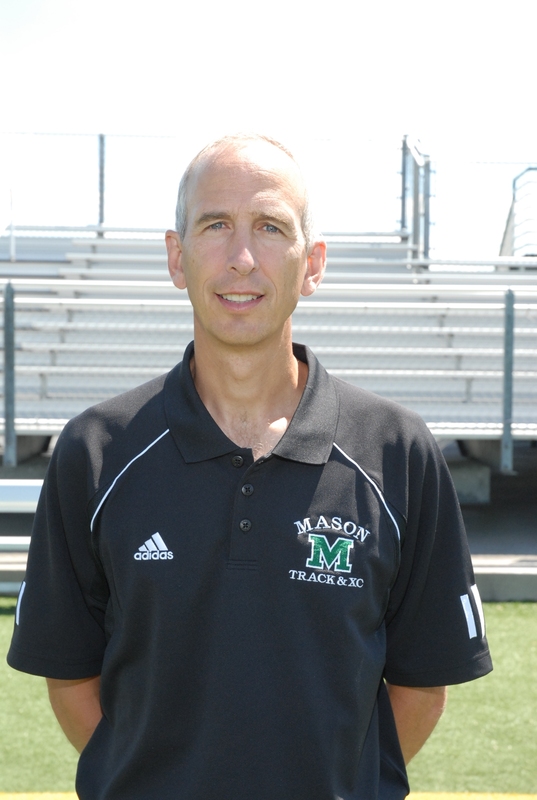 Tom was recently named Cross Country "Coach of the year" and has 2 State Team titles. Tom is a Spanish teacher at Mason High School. He is married to Mary, who was also an All-American track athlete at Penn State. Tom and Mary have two children - Chris and Megan. 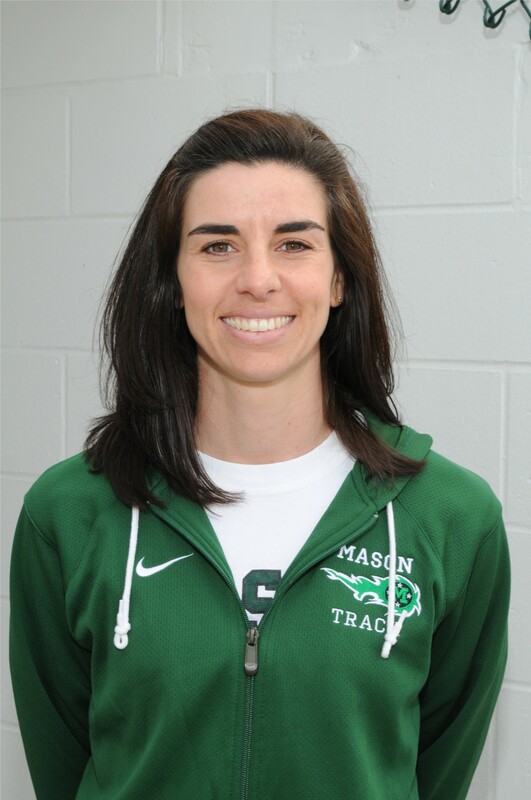 Kelly is in her fourteenth year coaching, her twelfth with Mason. She graduated from John Carroll University in 1998 and earned a Masters degree from The University of Akron in 2001. Kelly teaches sixth grade Language Arts/Social Studies at Mason Intermediate School. She lives in Mason with her husband, Tony, and their daughter, Gabby. Hakim Oliver graduated from Loveland High School where he was a member of both the football and track teams. He graduated from Bowling Green with a Bachelor's Degree in Special Education. Hakim coaches freshman football and Special Olympics at Mason. This is also his eighth year working with the Track Team.